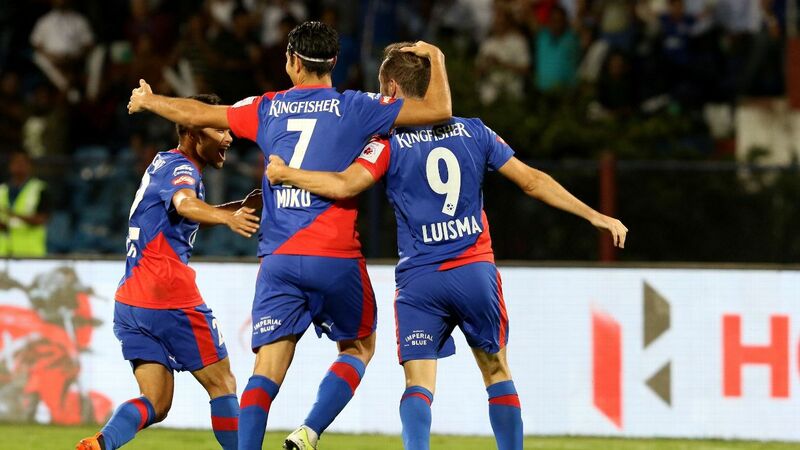 ESPN brings you the best of the quotes from the players and support staff of newcomers from the Indian Super League. 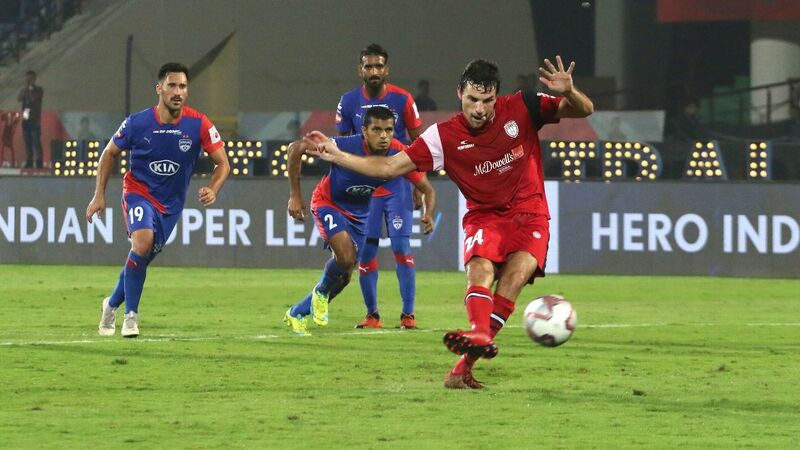 Manchester United, the dangers of instant stardom, an unexpected junk food reference and Lionel Messi were among the topics that found mention as six of the 10 teams that will participate in Indian Super League (ISL) Season 4, which starts on November 17, met with the media in Mumbai on Friday. 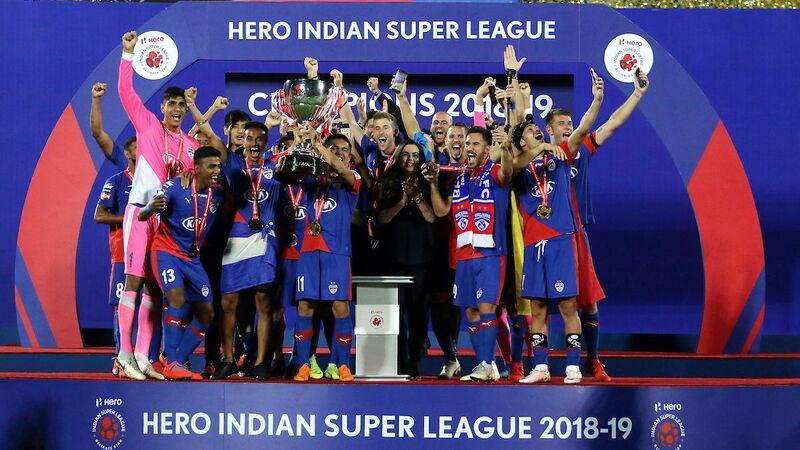 ESPN brings you the best of the quotes from the players and support staff of newcomers Bengaluru FC, FC Pune City, 2015 champions Chennaiyin FC, Kerala Blasters FC, Mumbai City FC and FC Goa. "As [head coach] Rene (Meulensteen) had mentioned, we would like to play an attacking brand of football, but ultimately we have to win games. We have people in India and experienced Indian players, we are going to exhibit an attacking brand but we need to be cautious as well. (Playing) the Manchester (United) brand, will not be easy, but the effort will be there to play and win games." "It depends on the circumstances. Sometimes injuries or how the team is performing makes you change (style). You have to change ideas if things don't go as you want. I would like to do that change earlier, but it's a short league and if you are wrong for some games, you're out. Our philosophy is to be comfortable on the ball. We are not Barcelona -- even if I'm from there -- I need to adapt to the situation." "He [coach Ranko Popovic] has certain ideas that he wants us to implement on the field. On the field, you'll see a different side of him, but off the field he understands the players and talks to us, and jokes with us. He likes a lot of work rate and quick ball movement, passing, one-two combinations." "I hope goals come from everywhere, not just from one area. We are trying to play an offensive game with all participating in the final third of the pitch. That worked in the pre-season, where we had many players scoring goals." "I don't compare myself to Zico. I am focused more on my philosophy, which is to play football with a very distinct style. While results are important, it's equally important that fans go back content that they have seen us play for 90 minutes. Having been at FC Barcelona for eight years, there's been a kind of play that you tend to pick up on. I'm not Luis Enrique, [Ernesto] Valverde or Pep Guadiola, nor do I have [Lionel] Messi or Neymar at my disposal, but we are different coaches and we must adapt to the circumstances we have in front of us." "We were champions in year two, so a lot is expected of us. I'm following Marco Materazzi, who is not only a world champion but a champion as a coach. This year we don't have a marquee player, we decided that we need to try and work to develop younger talent, and put out finance in that direction." "A longer season will give us more time to rest between matches, which is very important. Here it's the flights that we need to take on the away games and the travel that makes us tired. So, with a longer season we can be more prepared, we have time for training, changes if necessary during the week, which in the other season we didn't have." "We would like for the league to be longer, but to be honest for us in European football we are used to leagues of eight-nine months, so here two months and a half is really short. It's like a sprint in athletics and we know that we have to start well, if we want to finish well." "The coach will have more time to prepare players. Last year [Sereno played for ATK in 2016] the schedule was good because we needed just 72 hours of rest. This year it's two months more, so it's good for players' rest, sometimes one week, but not all the weeks. We like to play on Wednesday, on Thursday, because we don't need to practice. Some players prefer to train, others like me prefer to play." 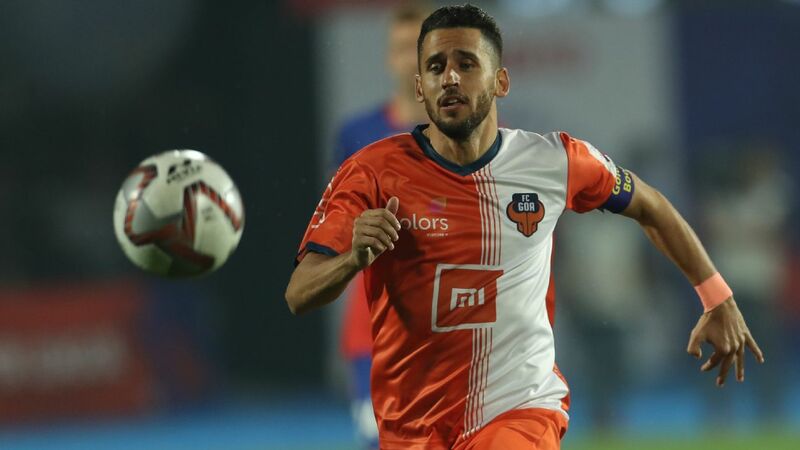 Marcelinho will play against former club Delhi Dynamos in his opening game for FC Pune City. "For me, the first match [against Marcelinho's previous club Delhi Dynamos] will show how you open the door. If we lose, it will be bad for our mentality. If we win we can relax...I think the first match is the most important." 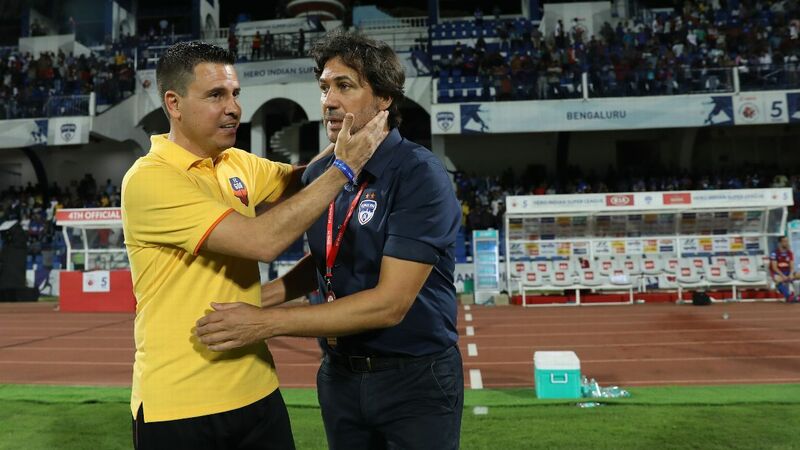 "They [Mumbai City FC] have some players who have made the difference, good foreigners. For sure, it's a strong team to start (against). We know how difficult the first game can be, every three points can make a difference. We have no time for feedback after the game as it's one after the other and fight, fight." "The most important thing he [Dimitar Berbatov] is bringing is composure. When the ball comes to him we know that the ball will be with him. We don't need to think twice but the ball will be there, to change the rhythm or speed up, so that's what he's going to bring in to the team. With his experience, he's such an intelligent guy, his positioning, touches, it's amazing." 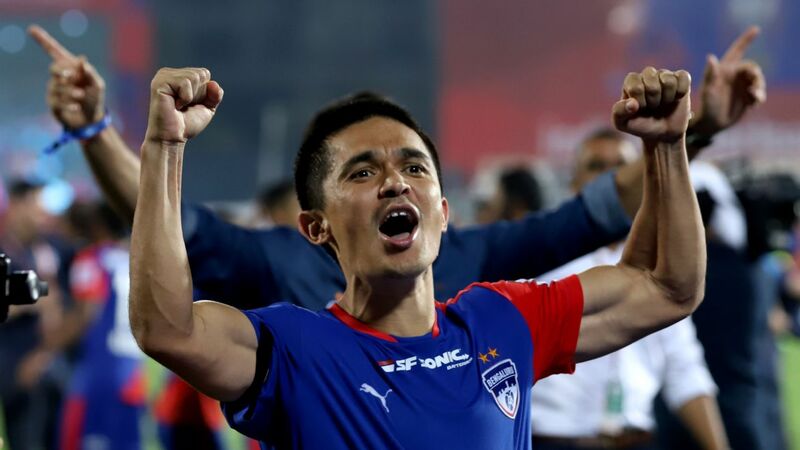 "He [Sunil Chhetri] always motivates us and he personally motivates me and doesn't treat me like junk food." 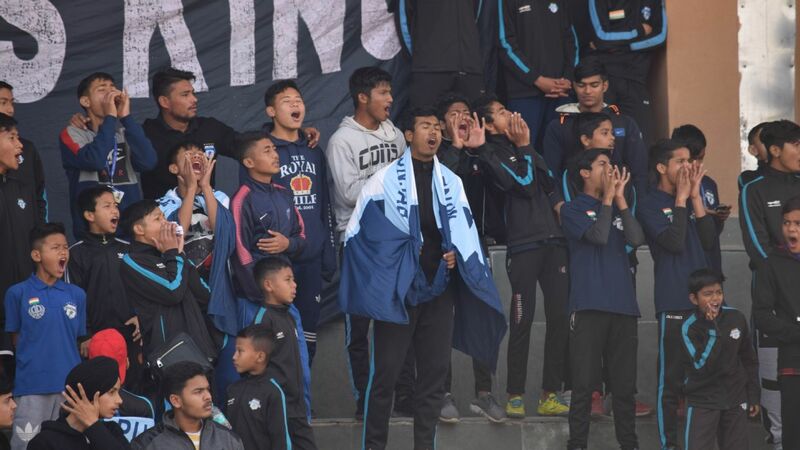 "We have many young players, like Anirudh (Thapa), Jerry (Lalrinzuala) -- they have confidence as they've debuted in the national team as well, so I don't think they are junior. They will take responsibility." "We have been lucky in the draft to pick Balwant (Singh) -- one of our first picks -- we are very satisfied with him. We have Leo Costa, Amrinder Singh who are back (this season). When I talked with my board, CEO, that we need to keep the core players which make us very strong defensively, they understood that." Iain Hume believes there's a marked improvement in the level of football seen in the ISL, as compared to the league's first season. 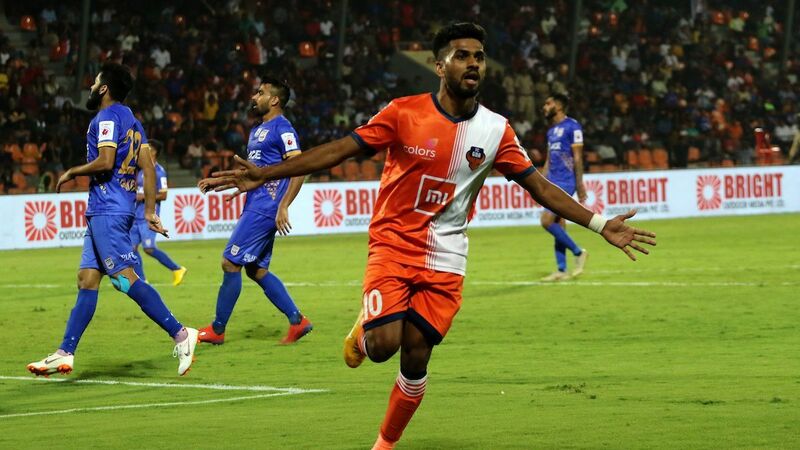 "I think the ISL has got the targets that they've set well in sight, (and) the players themselves will tell you that they've come on leaps and bounds. Playing with some of the guys from the first year and then you compare them to now, it's black and white for me, it's such a drastic change. They are playing a good level of football." "I'm positively surprised about the organisation. It's very good and the club is well-organised. Talent is here, it's not like talent in Europe, but talent is here. I saw in India, it's easy for young players to be superstars. If they play ten minutes, they are superstars. I understand the interest but really if we want a better FIFA ranking, we have to work together not to make them so popular and superstars before their time."